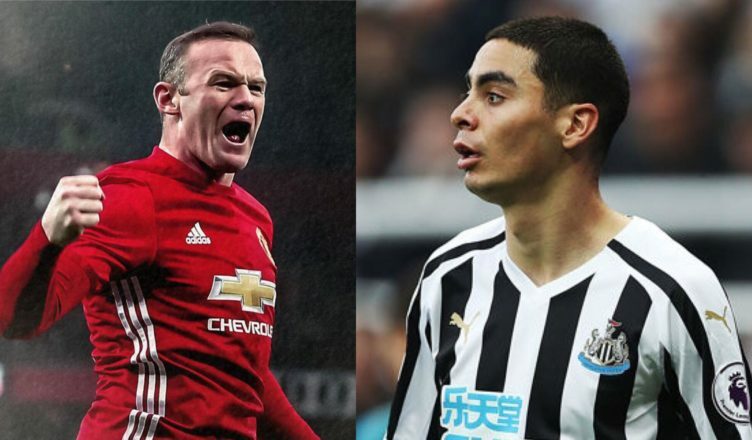 Wayne Rooney makes big claim about Miguel Almiron after watching him vs Huddersfield – NUFC blog – Newcastle United blog – NUFC Fixtures, News and Forum. Premier League legend and current MLS star Wayne Rooney felt Miguel Almiron looked the ‘best player on the pitch by a mile’ after he watched the Paraguayan make his debut against Huddersfield over the weekend. Rooney will be well aware of Almiron’s ability given the pair were bothing playing football in the MLS last season, but it’s brilliant to hear a player of his calibre speak so highly of our new big money buy. Watching that clip above makes you realise just what an impressive debut performance it was from him! He may not have stood out quite so much in Tuesday night’s 2-0 win over Burnley, but he was still so effective. His work rate was infectious and forced Burnley into several errors, his pace gives us a constant outlet and his movement is fantastic, with his running not always seeing him receive the ball but often creating space for others as a result.